Living with and managing diabetes is a challenge faced by tens of millions of Americans every day. It takes a lot of work to monitor blood sugar levels and other aspects of the condition, and failing to do so can have catastrophic consequences. Diabetes can make the body vulnerable to numerous and severe health issues. Among those are serious medical problems with feet, which could ultimately necessitate amputation or even be fatal. During winter’s colder temperatures, diabetics need to be even more vigilant and proactive in protecting their feet from the disease’s complications. How Does Diabetes Effect the Feet? Diabetes reduces blood flow to the legs and feet, which makes it harder for the body to heal after any foot injuries. The lack of blood flow to the extremities during colder weather can also ultimately lead to frostbite. The condition also can cause nerve damage in the feet, which reduces or eliminates the ability to feel foot pain. As such, if a person with diabetes is suffering from a foot condition that needs immediate attention, they may not know it or seek treatment until long after it becomes severe. Diabetic foot problems are often so extreme that amputation is the only effective treatment. According to the Centers for Disease Control and Prevention, about 73,000 adult diabetics had a leg or foot amputated in 2010 alone. Diabetics who are 45 years old and up are ten times more likely to have a leg or foot amputated than people without diabetes. Take a daily look. As noted, a lack of feeling in the feet means pain may not alert a person with diabetes to problems such as infection, foot ulcers, open sores, cracks, dryness, blisters, corns, and calluses. Make sure you take a good look at your feet each day so you can identify any problems at their earliest stages and get the treatment you need. Wear warm, breathable socks. The cold outside won’t stop your feet from sweating, so try to wear thicker, breathable socks that allow for air circulation and keep moisture at bay. Keep your feet dry. 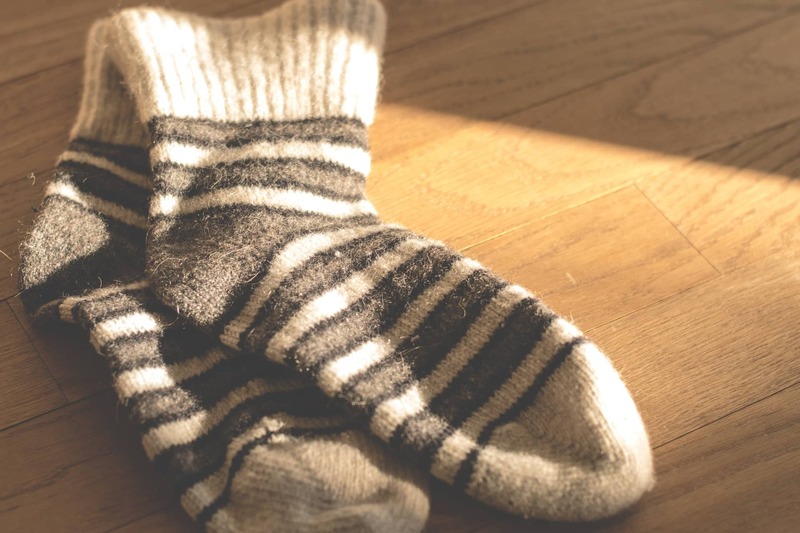 Those socks are important because allowing excessive sweating or other moisture to linger on the feet can increase the likelihood of developing a bacterial or fungal infection. Make sure you completely dry your feet (don’t forget the area between your toes!) after showering, bathing, or walking on wet areas such as poolside. Keep your feet warm. Shoes made of natural fabrics such as suede or leather encourage proper air circulation to your feet. People with diabetes should also choose boots or shoes that will provide sufficient warmth since neuropathy can prevent them from realizing when their feet are becoming too cold. Moisturize. The combination of poor circulation caused by diabetes and the cold, dry air of winter can cause cracks or peeling on the feet, increasing the risk of infection. Massage your feet and generously apply moisturizer after each shower. Whatever the season, the experienced and skilled podiatrists at JAWSpodiatry in Hollywood, Florida can help you keep your feet healthy, and help you get back on your feet when problems arise. We are a growing group of exceptional professionals who offer the highest degree of care in a welcoming, comfortable environment. Please contact us today at (954) 922-7333 to schedule a consultation. AMERICAN PIONEER LIFE . . .
ASSURANT HEALTH . . .
AMA INSURANCE . . .
BANKERS LIFE & CAS CO . . .
BEECH STREET . . . BETTER HEALTH . . .
CHAMPUS VA . . .
FIRST HEALTH . . .
FOCUS HEALTH CARE . . .
HEALTH SUN . . .
MAIL HANDLERS BENEFIT PLAN . . .
MEMORIAL MANG. SERVICES . . .
MEMORIAL HEALTH . . .
MEMORIAL INTEGRATED CONSUMER . . . NEIGHBORHOOD HEALTH . . .
NALC HEALTH BENEFITS . . . PREFERRED CARE PARTNERS . . . PREFERRED HEALTH PROVIDERS . . . PREFERRED MEDICAL PLAN . . .
PRESTIGE HEALTH CHOICE . . . SIMPLY MEDICAID . . . SIMPLY HEALTH . . .
SUNSHINE STATE PLAN . . . SUMMIT HEALTH . . .
STIRLING BENEFITS . . .
UNITED AMERICAN INS CO . . .
UNITED HEALTH CARE . . .
UNITED TEACHERS . . .
UMR WAUSAU . . .
UNITED HEALTH . . .
UNITED OXFORD/FREEDOM NETWORK . . .
UNITED NEIGHBORHOOD HEALTH . . .
UNITED EMPIRE PLAN . . .
VISTA / COV MEDICARE . . .
VA CHAMPVA TO MEDICARE . . .
Click here for our full list. Not listed? Call (954) 922-7333 or contact us and we'll look it up! Enter your email for the latest email updates. Copyright © 2018 JAWS Podiatry. All Rights Reserved.